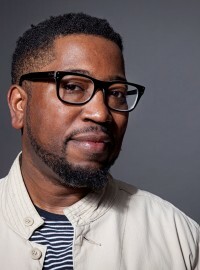 Major Jackson is the author of four books of poetry: Roll Deep (2015); Holding Company (2010); Hoops (2007); and Leaving Saturn (2002), which won the Cave Canem Poetry Prize for a first book of poems and was a finalist for the National Book Critics Circle Award in Poetry. He is the recipient of a Guggenheim Fellowship, a Whiting Writer’s Award, a National Endowment for the Arts Literature Fellowship and a creative arts fellowship at the Radcliffe Institute for Advanced Study at Harvard University. He has published poems and essays in American Poetry Review, Callaloo, The New Yorker, The New York Times Book Review, The Paris Review, Ploughshares, and Tin House, and been included in several volumes of Best American Poetry. Major Jackson has degrees from Temple University and University of Oregon. He lives in South Burlington, Vermont, where he is the Richard Dennis Green and Gold Professor at the University of Vermont. He serves as the Poetry Editor of The Harvard Review. Ellen McCulloch-Lovell started her career as program director, then executive director, of the Vermont Arts Council from 1970-83. She then served as U.S. Senator Patrick Leahy’s chief of staff in Washington, D.C. from 1983-94. In 1994, she was appointed Executive Director of the President’s Committee on the Arts and the Humanities. In 1997 she joined First Lady Hillary Rodham Clinton’s staff, first as deputy chief of staff then as director of the White House Millennium Council, where she and Mrs. Clinton created Save America’s Treasures, the first major preservation program in twenty years. After the White House, she went to the American Folklife Center at the Library of Congress to found the Veterans History Project, collecting the first-hand accounts of those who served in wartime. She has recently retired after a decade as the first female president of Marlboro College. 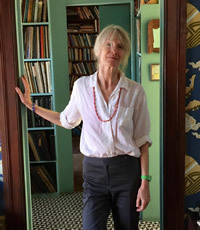 Ellen McCulloch-Lovell received her BA in philosophy from Bennington College and her MFA in Creative Writing from Warren Wilson College. Her first book of poems, Gone, was published by Janus Press in 2010. She lives in Montpelier, VT.
Edward Hirsch was born in Chicago and educated at Grinnell College and the University of Pennsylvania, where he received a Ph.D. in Folklore. He has received numerous awards and fellowships, including a MacArthur Fellowship, a Guggenheim Fellowship, an Ingram Merrill Foundation Award, a Pablo Neruda Presidential Medal of Honor, the Prix de Rome, and an Academy of Arts and Letters Award. In 2008, he was elected a Chancellor of the Academy of American Poets. Edward Hirsch’s first collection of poems, For the Sleepwalkers (1981), received the Delmore Schwartz Memorial Award from New York University and the Lavan Younger Poets Award from the Academy of American Poets. His second collection, Wild Gratitude (1986), won the National Book Critics Award. Since then, he has published seven additional books of poems: The Night Parade (1989); Earthly Measures (1994); On Love (1998); Lay Back the Darkness (2003); Special Orders (2008); and The Living Fire: New and Selected Poems, (2010), which brings together thirty-five years of poems. His most recent book is Gabriel: a Poem (2014), which is an elegy for his son. Hirsch is also the author of five prose books, including A Poet’s Glossary (2014); Poet’s Choice (2006); and the national bestseller, How to Read a Poem and Fall in Love with Poetry (1999). 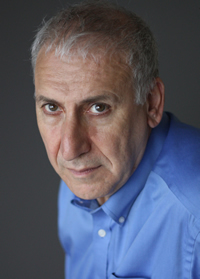 Edward Hirsch taught at Wayne State University and in the Creative Writing Program at the University of Houston. He is now president of the John Simon Guggenheim Memorial Foundation. Rachel Hadas studied classics at Harvard, poetry at Johns Hopkins, and comparative literature at Princeton. Between college and graduate school she spent four years in Greece, an experience that surfaces variously in much of her work. 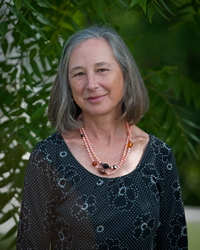 Since 1981 she has taught in the English Department of the Newark (NJ) campus of Rutgers University, and has also taught courses in literature and writing at Columbia and Princeton, as well as serving on the poetry faculty of the Sewanee Writers’ Conference and the West Chester Poetry Conference. She has received a Guggenheim Fellowship in Poetry, an Ingram Merrill Foundation grant in poetry, and an award in literature from the American Academy of Arts and Letters. Rachel Hadas is a longtime summer resident of the Pumpkin Hill section of Danville. 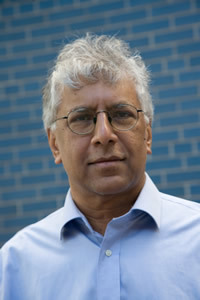 Vijay Seshadri was born in Bangalore, India, and came to America at the age of five. His most recent collection of poetry, 3 Sections (2013), won the 2014 Pulitzer Prize for Poetry. Previous collections include The Long Meadow (2004), which won the James Laughlin Award, and Wild Kingdom (1996). His poems, essays, and reviews have appeared in many publications including AGNI, The American Scholar, Antaeus, Bomb, Fence, Field, The Nation, The New Yorker, The Paris Review, Ploughshares, Poetry, Shenandoah, The Southwest Review, The Threepenny Review, The Times Book Review, TriQuarterly, The Yale Review, and in many anthologies, including Under 35: The New Generation of American Poets; Contours of the Heart; Staying Alive: Real Poems for Unreal Times, and several editions of The Best American Poetry. Seshadri has received grants from the Guggenheim Foundation, the New York Foundation for the Arts, and the National Endowment for the Arts and has been awarded The Paris Review’s Bernard F. Conners Long Poem Prize and the MacDowell Colony’s Fellowship for Distinguished Poetic Achievement. He holds an AB degree from Oberlin College and an MFA from Columbia University. He currently lives in Brooklyn and teaches poetry and nonfiction writing at Sarah Lawrence College, where he has held the Michele Tolela Myers Chair.